KLM and partners are at it again, offering some deep discounts on travel to Europe, on dates for spring 2016 travel. This time it's from Calgary to Zagreb, Croatia (ZAG) - a European destination that's usually pricier than most in terms of airfare. This is about 40% cheaper than usual. And no, that is not Zagreb in the picture (it's a place called Dugi Otok). Nobody goes to Croatia to stick around in Zagreb. Head to the coast and the beautiful islands. It would not be overly surprising to see some June flights become available at this price at some point, based on what I've seen from Toronto recently. Click on the departure date box to open up the calendar view and try different dates, to look for combinations that come up as $715. Or, you can also go to CheapOAir, ITravel2000, or FlightHub. 3. 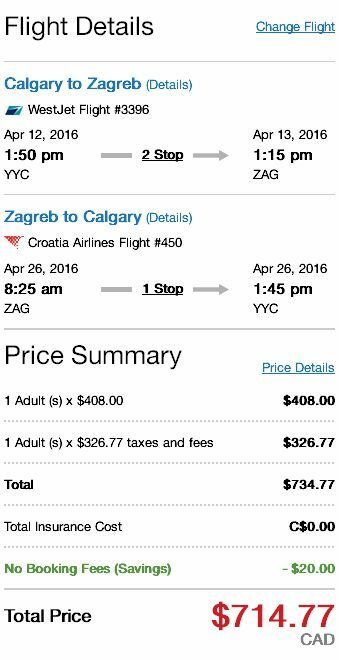 Search for a flight from Calgary to Zagreb, Croatia (ZAG) using your dates from above. Note that RedTag does not always show the fastest flights first in their results. Look for the flights that have a travel time of around 13-15 hours each way (including stops). 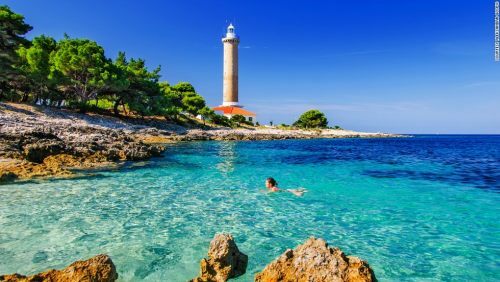 The following AirBNB link will lead you to some great deals on places to stay in Croatia for under $99 CAD/night for 2 people. calgary, yyc, flight deals, europe, southern europe, central europe, air france, balkans, southeastern europe, klm, zagreb, croatia, zag and croatia airlines.